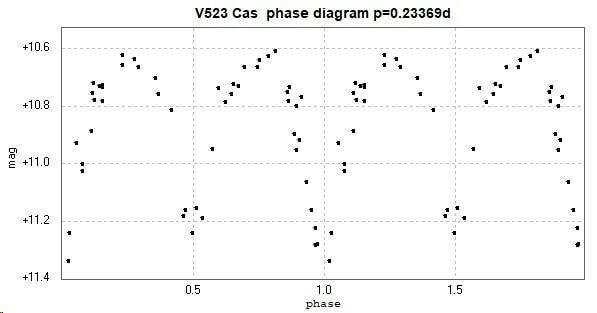 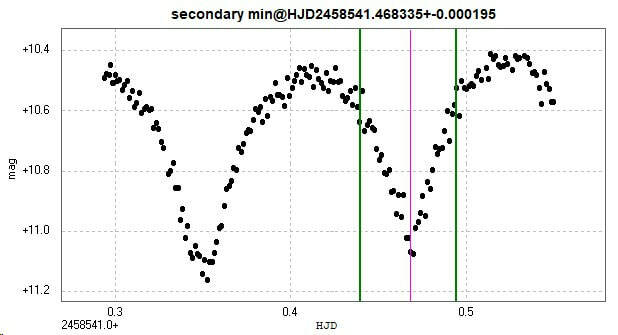 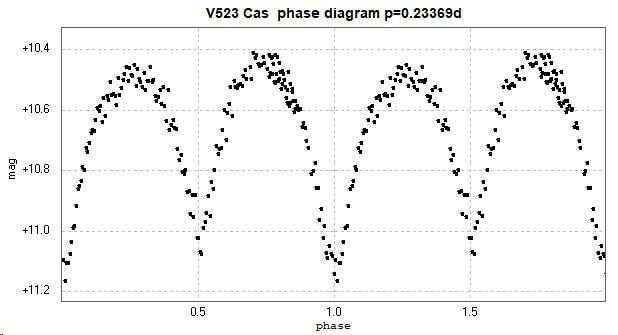 Light curve and phase diagram of the EW type eclipsing binary V523 Cassiopeiae / V 523 Cas. 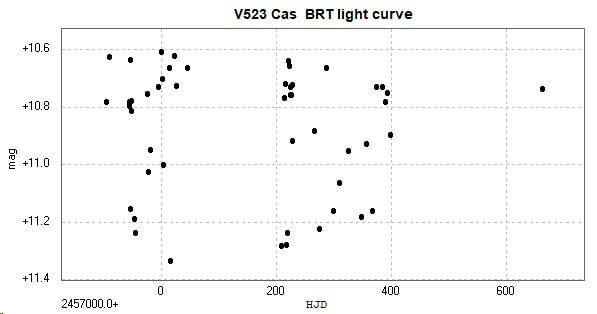 These were constructed from photometry of 49 images taken with the Bradford Robotic Telescope Cluster Camera (BRT), through a tricolour green filter, between 2014 September 3 and 2016 October 1. 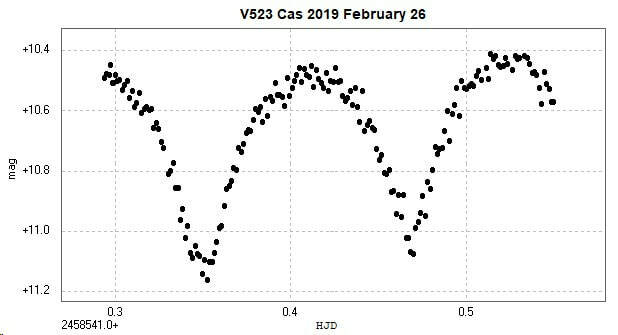 One complete cycle observed on 2019 February 26/27 with the Somerby Observatory 2" Titan. 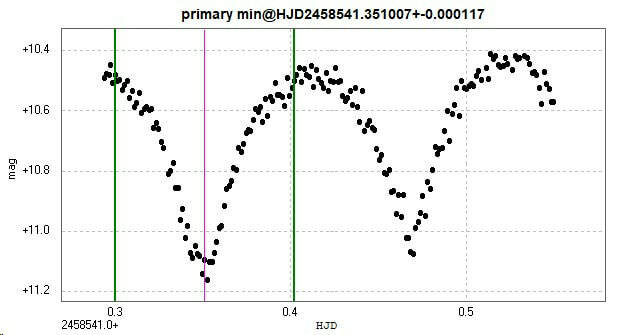 The images are unfiltered.